It begins with a 41 second song titled Men Together Today, which sounds like a group of monks in hymn. It's followed by Apologies To The Insect Life, a more frantic 2 minutes 47 seconds you may not hear this year. This is the world of British Sea Power. You may not need me to tell you just how good they are - if you've been to one of their live shows chances are you'll already know. They've even got (sort of) celebrity fans in the form of Jeremy Vine and Julian Cope. I might as well tell you now the only small disappointment is that this album doesn't really deal with the decline of the original British Sea Power throughout the late 20th Century. Of course, maybe it does but I'm too obvious to see it. What it does have, though, are songs of subtle beauty like Something Wicked which in a just world would be heard on Radio 1 every day and would see B.S.P. doing their thing on Top Of The Pops. However, we live in a cruel world and so have to make do. It's a trap of many bands to jump styles all over a debut album, searching for the one that suits them to the ground. Over three songs here - Flowers In The Beetroot Field, Something Wicked and previous single Remember Me - we hear a lot of different sounds, but are never left in any doubt that they flow together with such fire and skill that you feel they could knock out a freeform jazz number and still sound like the same band. Lyrical themes through prove some hard to pin down, though the band claim the album alludes to "Morrissey/Marr, Scapa Flow, David Byrne and Lonnie Donegan" which can be taken anyway you want to. A sense of humour and an open mind may well be essential skills to have prepared before listening. This could go on, but there's no need. The band chose their name well, for this is an album as British as Viz magazine and football hooligans in Burberry uniforms. It's as mad as Monty Python and melodic as Edward Elgar. 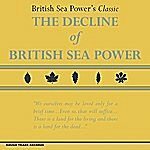 The cover proclaims "British Sea Power's Classic The Decline of...". Such confidence only appears crass when it's misplaced. In this instance, it's located perfectly.